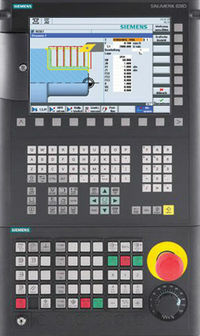 Sinumerik Alarm 4300 Declaration in MD %1 is not allowed for geometry axis/spindle %2. Geometry axes and spindles cannot be operated as concurrent positioning axes. Please inform the authorized personnel/service department. Reset MD 30450 IS_CONCURRENT_POS_AX for the axis concerned.